Christopher Hitchens, the #1 New York Times best-selling author that gave us his brilliant take on religion's malevolence in God Is Not Great yet again delivers arguments for a fantastic universe where a god does not exist in this collection of influential voices who have shaped the landscape of the non-believers' side in today’s raging “to believe or not to believe” debate. The Portable Atheist is a controversial, thought-provoking and entertaining tour of atheism and agnosticism in history, featuring insights from notable authors such as Salman Rushdie and Ian McEwan, as well as those from outspoken gender equality activist Ayaan Hirsi Ali. Readers can expect to be regaled by Hitchen’s wit while being guided through words from Benedict de Spinoza, Lucretius, Charles Darwin, Mark Twain, Karl Marx, George Eliot, Emma Goldman, Bertrand Russell, H. L. Mencken, Daniel Dennett and Albert Einstein among others. Works from other notable atheists such as Sam Harris and Richard Dawkins are also featured. This could be an interesting book indeed! Has anybody on the forums read this yet? I am reading it right now. It is interesting. The poetry kills me though. Interesting indeed! Some of the names on the list interest me, but others not so much. Darwin... while I am sure he was not a theist, he doesn't seem to be much of a humanist either. The works that I have read of his lacked empathy to the point of ignorance. He seems like a narcissist thrown into the arena of megalomania. He may have some interesting things to say (like I said, I've read him but do not agree with his philosophy), but I raise an eyebrow high at anyone who considers him a moral role model. Marx as well. His work is interesting, but it's pretty much an exact shadow of Hegel, who is much more interesting. And a theist, not that it matters much. Given the context of Hegel's writing, he had no choice but to be... or at least write like he was. That gives me the idea that the atheist community may be a echo chamber too because I have only heard positive things about Darwin's character. It seems like it could go off into many different directions, but it still could be a good read and I want to pick this one up. Good or bad, I'll report back on it. Cool thanks, I look forward to that report! Me too! Let us know how you liked it. It sounds like it could be good or bad and I don't like that about anything, books or movies. They had me right up until the word activist. That always tends to make anything lose a lot of its fire and become less believable than the easter bunny. I'm back with my thoughts on this book. I know that I have been bashing some of the books and the authors on the book club, but I am very picky about what I read and having read so many books over my 40+ years, they tend to run together and become a "been there, done that" sort of thing. This book was different, it took on an entirely new perspective that I haven't seen done this well before. The authors thoughts and ideas were put down into words so fluidly that you understood exactly what he was getting at. Overall, it was a really good book and well worth the time reading it. Yes thanks Firebolt! I was thinking I might check this one out, it sounds like from your review it may be the type of book I would like to pick up and give a read! Like all the other books to pricy for me im poor as hell. Ive never actually read an atheist book the only contact with atheists ive had is here and utube. 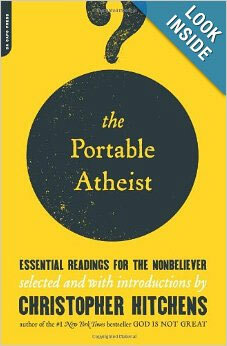 The Portable Atheist is worth reading not only for Hitchens' input, but because there are essays by Primo Levi, Hobbes, Spinoza, Hume, Darwin, Mark Twain, Mencken, Russell, Sagan, Dawkins, Grayling, Sam Harris and many others. 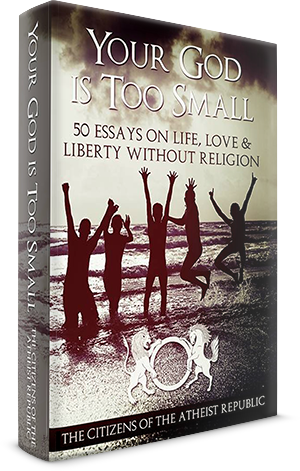 It's almost 500 pages of some great reading that all atheists will enjoy and learn from. 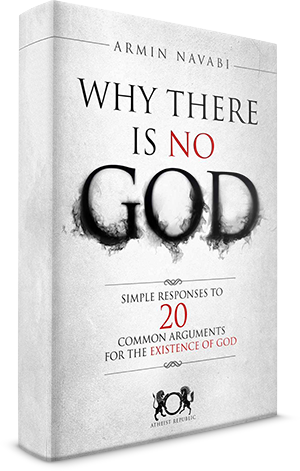 It is essential reading for atheists everywhere. This is an amazing book. It includes Carl Sagan, among many others who are also good (Hirsi Ali, Dawkins); and Elizabeth Anderson's "If there is no God then everything is permitted" piece which equips one to debate Bible-believers with many sources on unethical verses of the Bible. I just can't imagine there's anything to know about atheism beyond simple disbelief in all things supernatural. Yet, we have entire books dedicated to the subject? I don't think so. I do think they are titles hiding the malevolence of certain people who indiscriminately trod upon theists as if they are privileged to such self-serving acts by way of their freedoms of speech. I do believe they are oblivious examples of what went wrong with man when he originally subscribed to a god fearing life. They're committing the same crime with a different kind of evil. I think that's the 20/20 on such works.